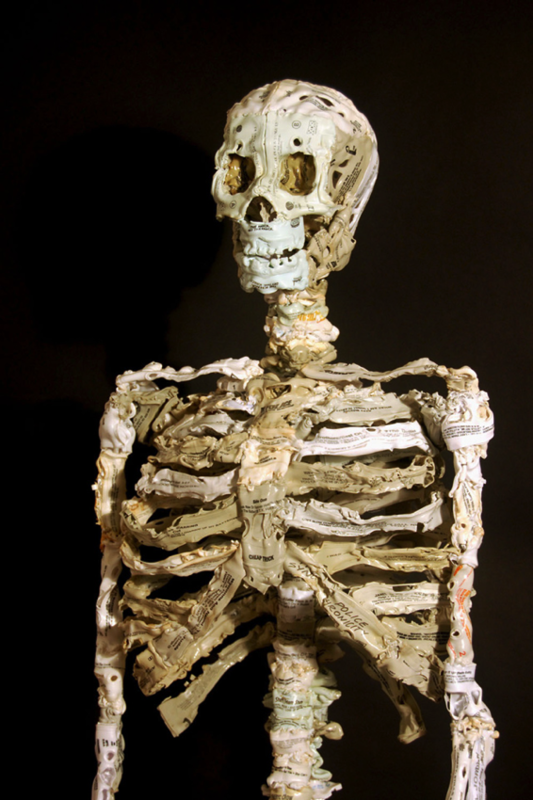 Brian Dettmer’s melted casette tape skeletons and skulls #ArtTuesday « Adafruit Industries – Makers, hackers, artists, designers and engineers! 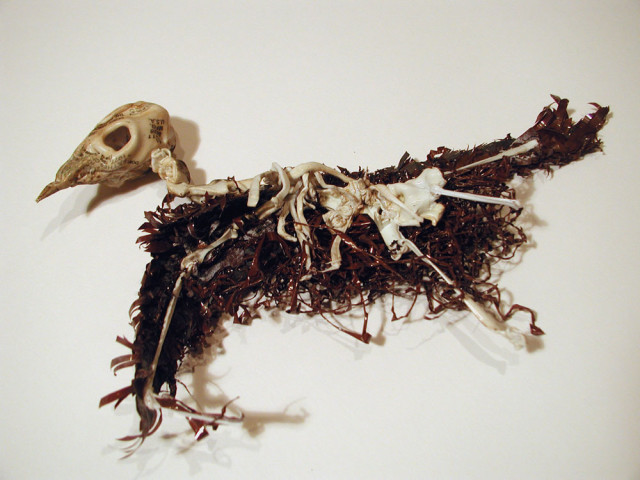 Juxtapoz posted about Brian Dettmer’s incredible and creepy melted tape sculptures. 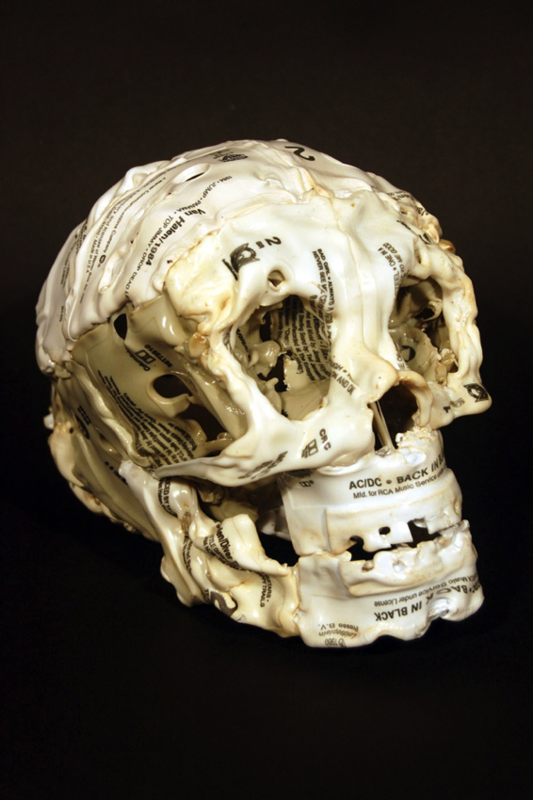 Brian Dettmer, whose book sculptures we have shown you in the past, also has a series of human and animal skulls constructed from melted casette tapes. Brian heated up the plastic tapes so he could weld and mold them together with his hands and other tools.